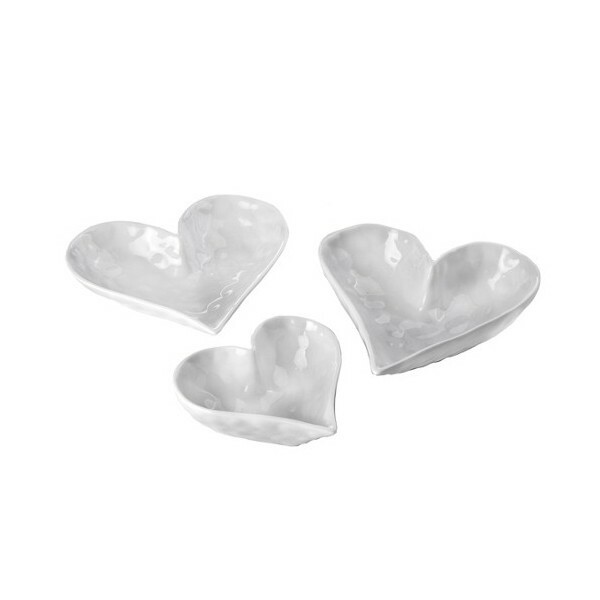 Three ceramic glazed white heart shaped dishes, slightly dimpled finish, very elegant for a multitude of uses. at widest point the largest one is 14cm in diameter, stand approximately 4cms high. 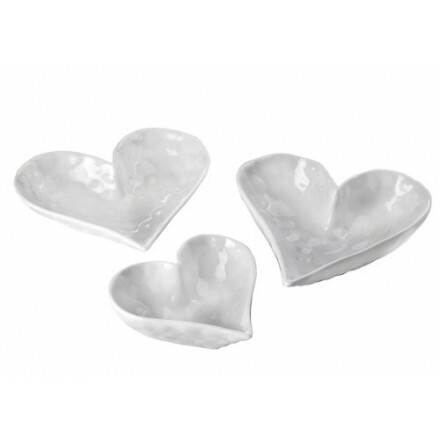 These stunning dishes can be used for food use or for displaying small items or jewellery storage. Keep on a windowsill and capture all those little bits and bobs that you have no place for anywhere else. Multitude of uses, dipping sauces, earrings storage, holding rings when washing up... limited only by your imagination. Hand wash only, not suitable for microwave or dishwasher. these dishes do not stack inside each other. Come gift wrapped.